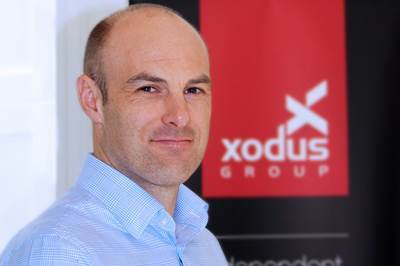 Xodus Group’s Perth office has won more than A$3.5 million (£2million) in new contracts over the last six months. Xodus’ Asia-Pacific (APAC) region has had significant success in the growth of its decommissioning business, both in Australia and South-East Asia, where the company has established relationships with several key players. The company has also enhanced its digital production optimization and monitoring tools. With the success, Xodus has increased its workforce locally and appointed Simon Allison as operations director for the APAC region. Allison is responsible for the management of the group's office including business development and growing strategic new markets. Having previously been Xodus’ general manager in Scotland, he is maintaining an active technical role in projects, including project management. Allison has worked in the oil and gas industry for more than 20 years after graduating with honors in Chemical Engineering from the University of Melbourne. After starting his career as a process engineer, he later specialized in the field of flow assurance. Xodus Group will be presenting with Origin Energy on ‘The effective use of data analytics in an advanced compressor performance and degradation monitoring’ at the APPEA 2018 Conference and Exhibition in Adelaide on Wednesday, May 16.